These figures are presented as reflecting a change of heart. The population is tired of the abuses and divisions of the armed opposition. From NATO’s perspective, what we are witnessing is not a phenomenon that is occurring in view of the approaching "Geneva-2" peace conference. For two years, the events in Syria have been portrayed by the Atlanticist and GCC press as a peaceful revolution cruelly suppressed by a tyrant. The Syrian and anti-imperialist press, on the contrary, brands them as a foreign attack, armed and funded to the tune of billions of dollars. 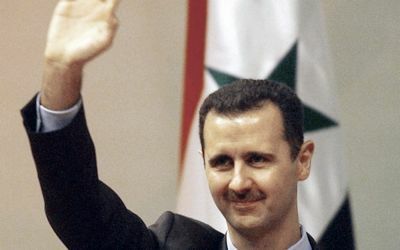 ↑ NATO data: Assad winning the war for Syrians’ hearts and minds?, World Tribune, May 31, 2013. Berlin, (SANA)- German "Die Welt" daily said that only 5% of the armed terrorists in the so-called Free Army are Syrians, while 95% of them are extremist groups which came from several African countries to jihad in Syria baked by the Gulf and Arab countries. The daily quoted intelligence experts in Germany as saying : "The German intelligence has an official and detailed account of the nationalities of the rebels in Syria and their locations in the country,"
A member of the German intelligence said that some terrorist groups in Syria work in full coordination with al-Qaeda, but the extremist groups are more dangerous than al-Qaeda since they commit genocide against children and women and use them as human shields to achieve the possible biggest number of casualties. According to a semi-official statistics the number of the gunmen in Syria estimated at 14,800 including experts in many fields like the preparation of improvised explosive devices. Most of those gunmen previously participated in several attacks in Iraq and Afghanistan. The biggest danger lies in the Arab countries' help releasing Islamic detainees and sending them to Syria with the aim of Jihad against the Syrian state violating the standards of anti-terrorism Conventions. 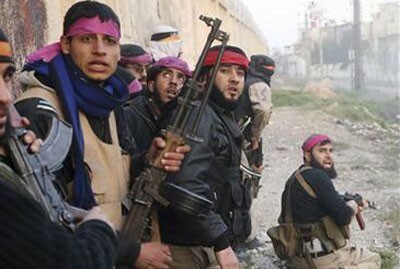 The armed terrorist groups of the so-called Jabhat al-Nusra have committed a large number of massacres against children, women and elderly in different regions of Syria, the most recently massacre was carried out in Hatleh village in Deir Ezzor Province claiming the lives of over 30 people because of their refusal to support terrorists in their hostile acts against civilians. Syrian boy executed for "using the prophet’s name in vain"
Published on Syria News (http://www.syrianews.cc/) on 9 June 2013 as Jihadists Executed a Child for Using the Prophet’s Name in Vain. Later they brought Mohamad back, his shirt raised over his head and his body had visible signs of flagging. When people gathered, a member of the battalion announced in a loud voice “Esteemed people of Aleppo, using God’s or the prophet’s names in vain or abusing them is blasphemy and any who does will be punished like this” and the “rebel” shot he boy with a gun in front of his mother and father, one shot to the head and another shot on the neck. Then the Jihadists drove away in their car. As reported on the ABC's News Radio, just now (11:00PM +10:00), the BBC reports that a double suicide car-bombing in Damascus has killed 14 more Syrians and wounded at least 30 more. The BBC also reported that, "In view of the Syrian regime's advance [against the terrorists] Washington could decide this week to start arming the rebels". How this would not add to the death toll estimated by the report to have been "more than 80,000" since March 2011 was not explained. The BBC also reported that "Islamist rebels in Aleppo had executed a 15-year-old boy in front of his parents as punishment for what they regarded as a blasphemous comment." As had already been reported on Syria News on 9 June, two days ago, the Boy's name was Mohamad Qataa. The main opposition body, the Syrian National Coalition, said that if the reports were true, it "would constitute a crime against humanity and those responsible must be brought to justice." "The Syrian Coalition expects those taking part in the revolution to abide by the ideals and principles of international covenants and treaties," it said in a statement. No further comment was added by the BBC. So, evidently, they would have their audiences accept these assurances by the very same organisation which has been organising and supplying the terrorists. The Syrian people know better. They know that their best guarantee against the recurrence of such outrages is for the Syrian Arab National Army to eliminate all remaining terrorists in Syria.